Que Bola Ninjas!! For today’s lesson we’re heading down to Cuba to learn about one of it’s coolest exports, Songo. This is one of my favorite grooves as it combines elements from the rumba, son cubano, and other contemporary afro-american styles like jazz and funk. Take a look at the accompanying PDF. You’ll see six variations of the Songo groove, of which the first four are demonstrated in the video. See if you can follow along and when you are ready give it a go. Start really slow (50bpm) and work your way up to a gigging tempo. There are two empty lines on the PDF. Try to come up with some variations of your own or check out some of the recommended listening below and see if you can transcribe what you hear. Songo was developed in the 1970’s by the legendary Cuban percussionist Changuito of the group Los Van Van. It was a major breakthrough in Latin music because it introduced the drumset into the standard percussion ensemble of congas, timbales and bongos and it reflects the influence of American music on cuban musicians at that time. The basic groove itself has a kind of half time feel to it with beats one and three played on the cowbell. The bass drum plays on the and of two while the left hand is free to move around and create a myriad of cool variations. I fully admit that I am a white man that has never been to Cuba or studied with any Cubans so I may not be playing this groove with true authenticity. 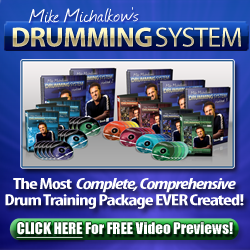 If you really want to get the feel for this style of drumming you may want to delve a little deeper and find a teacher (Cuban preferably) who can show you the roots and how to really make it swing.